Alex Massie has a couple of posts on Ron Paul. One of them reproduces one of Paul’s speeches on the House floor about patriotism. 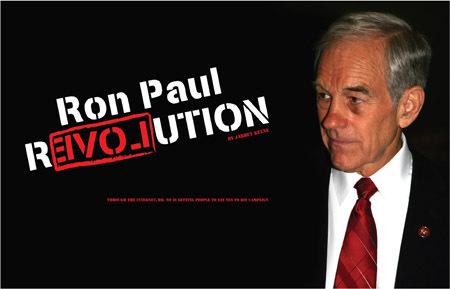 Michael Crowley also has a post on Ron Paul’s incredible fundraising achievement.